New Delhi, dated : 28.09.2016. Subject : Payment of Productivity Linked Bonus to all eligible non-gazetted Railway employees for the financial year (2015-2016). 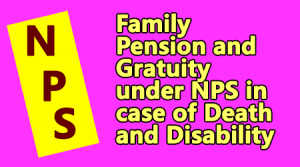 The President is pleased to sanction Productivity Linked Bonus (PLB) equivalent to 78 (Seventy Eight) days wages without any ceiling on wages for eligibility for the financial year 2015-16 to all eligible non-gazetted Railway employees (excluding all RPF/RPSF personnel). 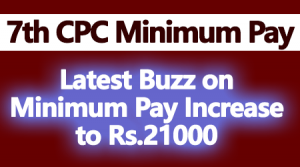 Where wages exceed 7000/- per month, Productivity Linked Bonus will be calculated as if `wages’ are 7000/- p.m.
2. ‘Wages’ for the purpose of calculating Productivity Linked Bonus shall include ‘Basic pay’ as defined in the Railway Services (Revised Pay) Rules, 2008 and dearness allowance drawn during the period from 01.04.2015 to 31.12.2015. ‘Wages’ during the period from 01.01.2016 to 31.03.2016 shall include ‘Basic pay’ as defined in the Railway Services (Revised Pay) Rules, 2016. Other conditions of eligibility, method of calculation of wages, etc., as prescribed in this Ministry’s instructions and clarifications issued from time to time, shall remain unchanged. 3. It has also been decided that in the case of eligible employees mentioned in Para 1 above who were not placed under suspension, or had not quit service/retired/expired during the financial year 2015-16 or were on leave where leave salary admissible is not less than that admissible on leave on average pay, may be paid an amount of 17,951/- towards Productivity Linked Bonus for the financial year 2015-16. In the case of employees other than those mentioned above, the amount of Productivity Linked Bonus may he calculated in accordance with the extant instructions on the subject. 5. Disbursement of Productivity Linked Bonus for the financial year 2015-16 to all eligible non-gazetted Railway employees mentioned in Para 1 above should be made on priority in the same mode as payment of salary before the ensuing Puja/Dussehra holidays.